One of three Maritime Provinces and the only one that’s bilingual, New Brunswick is home to a mix of mountainous and forested regions. The variety of terrains are begging to be traversed once snow blankets the ground. 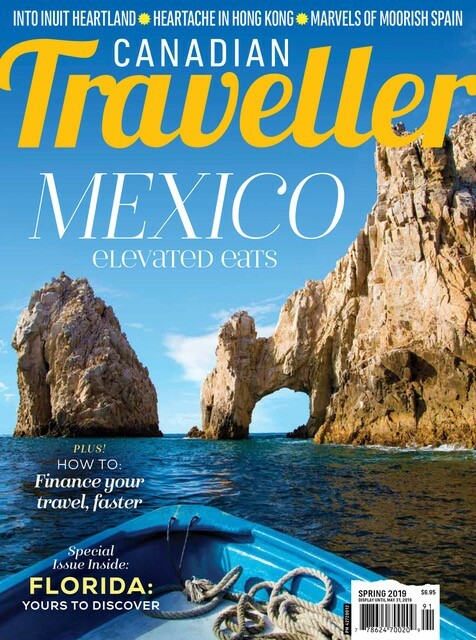 Skip crowded resorts when planning a winter holiday. 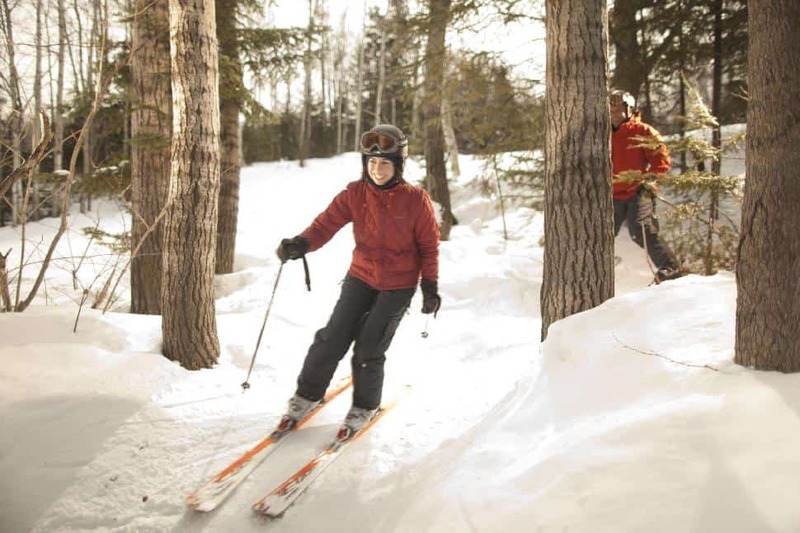 You'll find outdoor adventure and serene landscapes in the wide-open slopes and scenic trails of New Brunswick. Whether traveling under your own power or speeding along on snowmobile, there are great pockets all over the province for enjoying the snow. 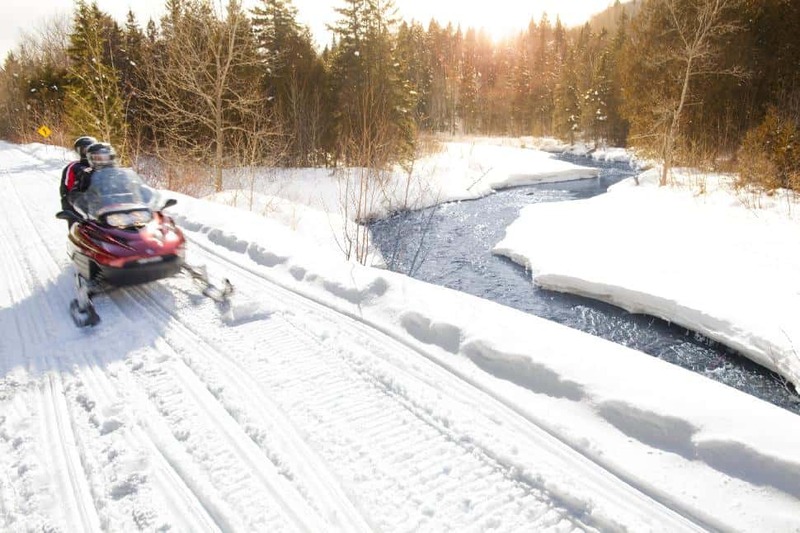 Snowmobilers will be hard-pressed to find a more varied trail than the 1,000 kilometre Northern Odyssey. This route winds around four cities, from sea level to the Appalachians in easily managed sections. The trails are well-maintained and cover the province with a network of adventures. Plus, there are accommodations along the way. Pair a bit of adventure with the unending beauty of the province. Check on trail conditions when purchasing your permit and book accommodations before leaving. Visit the New Brunswick Federation of Snowmobile Clubs for more information. Crabbe Mountain has the highest vertical in the province and challenging terrain for all levels. 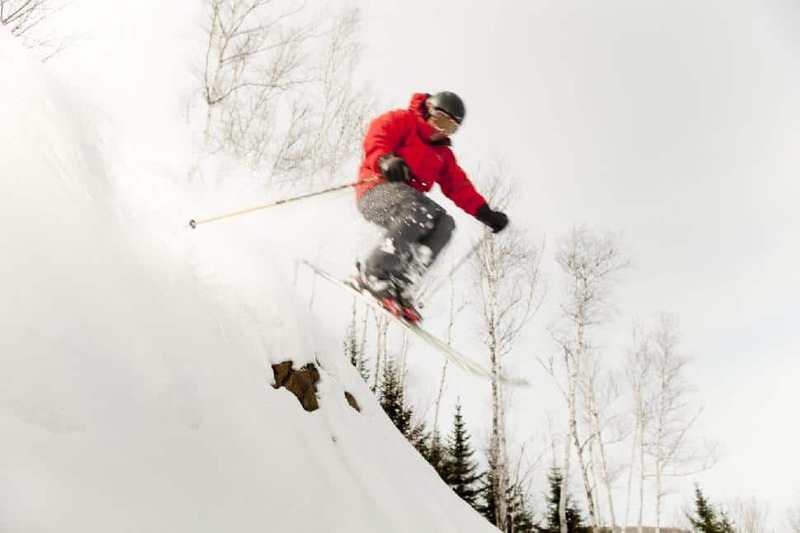 Runs include wooded areas, groomed and ungroomed, rock jumps, rails and even a wide open area for beginners. The terrain park is the best in the Maritimes. Although the hill has only a single double diamond run, half of all the runs on the mountain are black diamond, and are sufficiently challenging for most skiers. Crabbe Mountain recently changed ownership and fans are eagerly awaiting the launch of the new website to see what changes have been made to the resort. Mont Farlagne near Edmundston opens five of its 14 trails for night skiing and even has a few trails open for snow tubing. Although nothing can compare to the challenge of tackling the slopes on a pair of skis, sliding full-speed down a hill in a tube is so much fun that you may set your dignity aside for a few days in favor of the childhood experience of snow tubing. More than 30 trails at Poley Mountain are groomed and with over 100 acres of skiable terrain there are many lesser trails available through the season. Nearly two-thirds of the runs are suitable for beginner or intermediate skiers with many open for night skiing. Poley Mountain is nicely located between the three major cities in the province. An alpine ski resort is located in Sugarloaf Provincial Park close to majestic Sugarloaf Mountain. Runs are suitable for all levels and the park offers numerous other winter activities both on the slopes and around the lower areas. Visitors can enjoy skiing the slopes one day and take off snowmobiling the next. A morning of skating followed by an afternoon sleigh ride is perfectly topped off by an evening cross country trek through the trees before heading to nearby Atholville to relax. 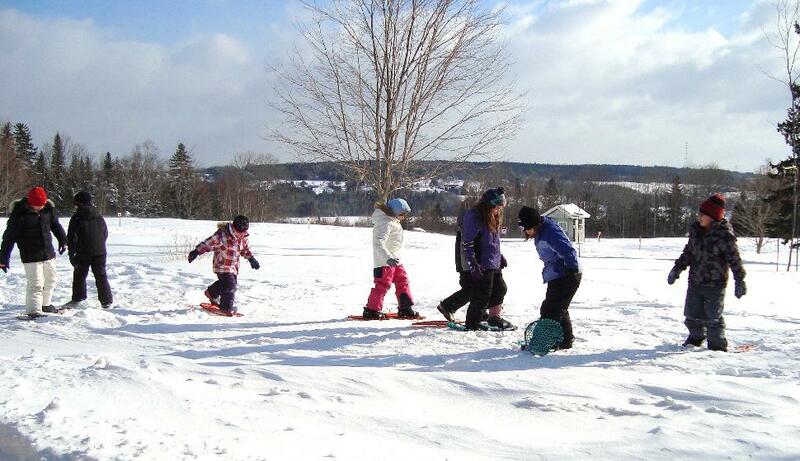 Snowshoeing is welcome on many cross-country trails but several areas are restricted to snowshoes only. For an easier trek try the 11 kilometres of trails at Bathurst or the 13 km of trails through Irishtown Nature Park in Moncton. Also in Moncton, Mapleton Park has another 10 km of trails suitable for beginners, as does Fairview Knoll Park. Velo Edmundston offers a more challenging adventure when the 40 km of mountain biking trails open to snowshoers when the snow falls. New Brunswick has fun events going on all winter, but Fredericton and Campbellton have two of the biggest. 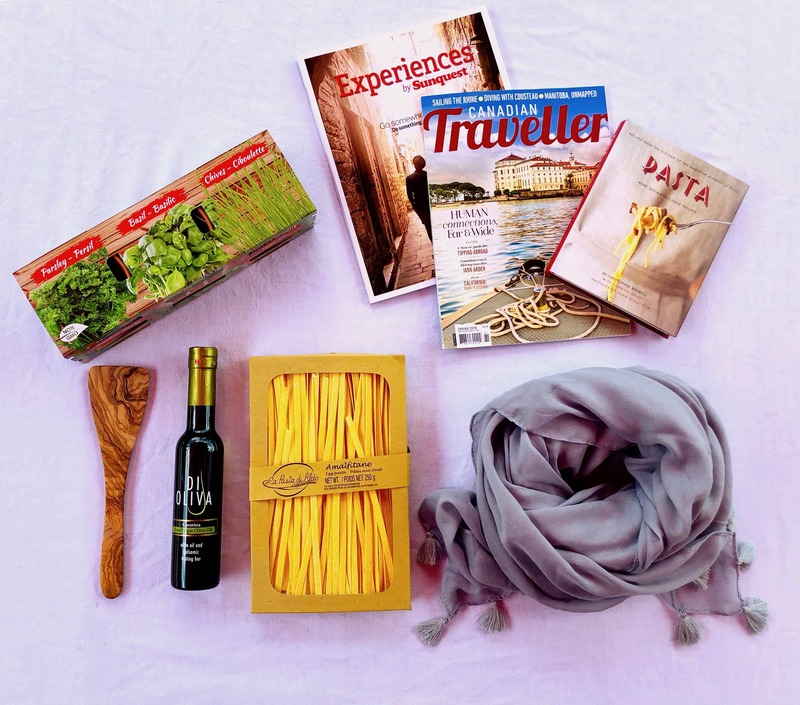 The festival is filled with entertainers, artists, auctions and some of the most amazing winter activities around. The gigantic ice sleds require no special equipment although slick snowpants are recommended for speed. 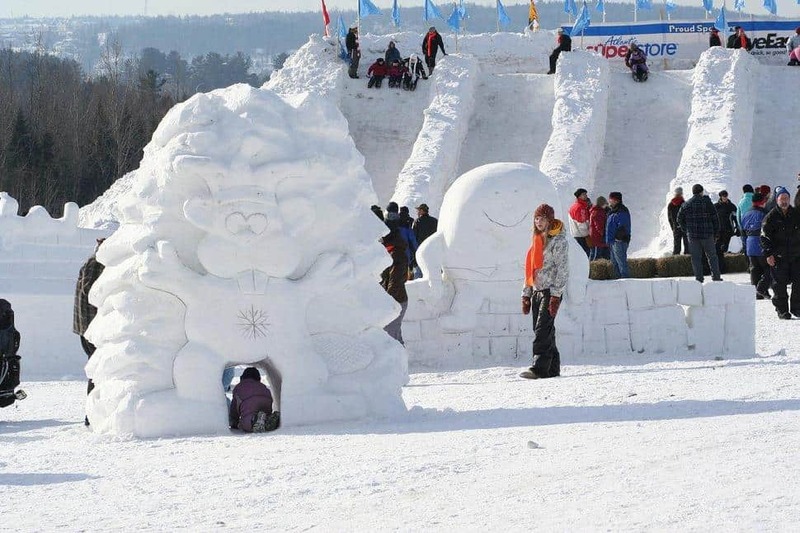 Try snowtubing for a gentler ride down a hill or try your navigation skills in the SnowMazing Labyrinth. Dog sled rides, sleigh rides, pony rides and other exciting events are all part of the festival and even the smallest visitors will have fun in the snow. Skating, tube sliding, sleigh rides and much more are part of the fun during this family-oriented event to celebrate snow. Top off an exciting day of hockey and snow art by watching the magical Parade of Lights in the evening. Adults can continue the fun listening to local talent perform in one of the downtown venues. Many smaller communities hold their own events throughout the season. 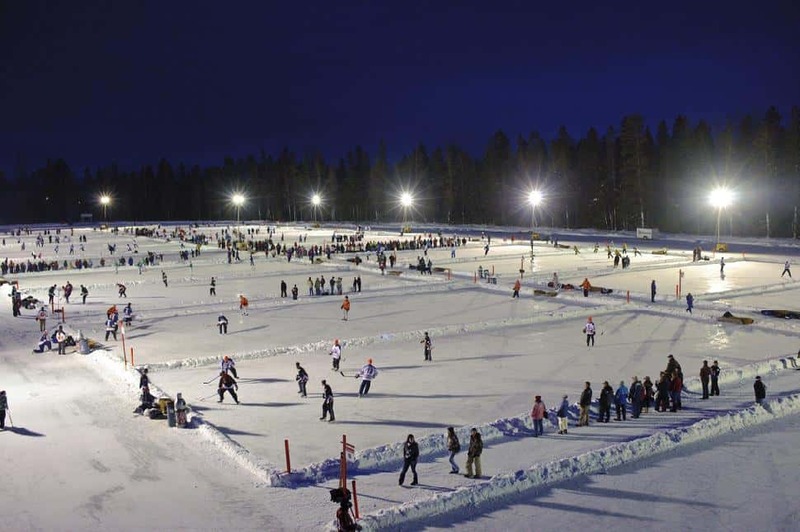 When planning a holiday in New Brunswick, check the town’s website to find pond hockey tournaments, community breakfasts, snow-sculpting contests and other celebrations of winter. Looking for special snow excursions with a creature element? 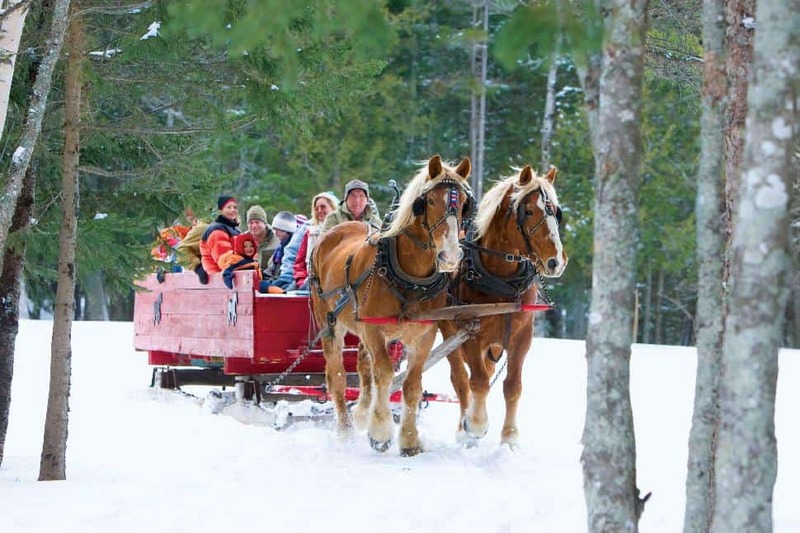 How about a ride through the woods on a horse-drawn sled? Or through the meadow from the unique vantage point of a dog sled? Or maybe you're an angler. Try your hand at the unique experience of ice fishing. We bet the kids will be saying, "Hey Mom, remember in winter when we went to New Brunswick..."
Have you ever visited New Brunswick in winter?